As your year starts to wind down, you might be coming to the realization that you didn’t accomplish everything that you had planned on this year. For some folks, this might be an area of focus where you’ve had a recent discovery about yourself – you’ve discovered you want to write a book or start a business. For others, this area might be the same one you’ve been talking about for 10 years – you’ve discovered you want to write a book or start a business. It may be your financial situation, your job, your health, where you live, your relationships, or the way you feel about ourselves deep down when no one is around. 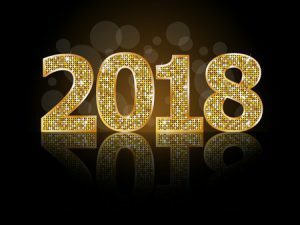 Path #2 – Make excuses as to why you can’t change then end up having the same dialog in December of 2018 or January of 2019 … again! Path #3 – Choose to accept your situation exactly the way it is and decide to be happy. Sometimes what we say we want is not really what we want because the idea of owning X, is actually better than owning X (a boat is expensive, a lot of work, and somewhat useless especially if you live in the desert). Path #4 – Choose to change your attitudes and/or beliefs about your situation, and then take the necessary actions to correct it so you can achieve the results that you want. Is there anything about my life that has to change in order for me to have a my best year ever this year? Which of the 4 paths (above) will help me achieve the results I want? Achieve my dream? Help me take the leap – once and for all? Why is this goal, dream, etc. so important to me (this is critical because it defines the purpose that will drive you)? What happens if I don’t achieve it (the cost)? What is the first action or step I need to take and when will I commit to taking it? Who can I be accountable to in order to stay on track and to help me get back on track when I am off the rails (even though deep down I may not want too because I am afraid I might fail)? Wishing and hoping for things to be different is not going to get you where you want to go. Don’t wait till the first of the year to start thinking about how you want 2018 to be your best year ever. Unless of course, you’re completely happy with the way your life is going and don’t want to change a thing! Don’t just sit there … start thinking … better yet … start writing! BONUS – If you are interested in creating a plan for 2018 and beyond, send an email to joe@aliveatwork.com and put NEW YEAR 2018 PURPOSE & CLARITY in the subject line and I will send you a tool to help you get started! PreviousPrevious post:Arrogance … Death of a Leader!NextNext post:Your Personal Philosophy … Socrates, Plato, or Puppies? Order Extraordinary Results & Get Your Team Re-Aligned!